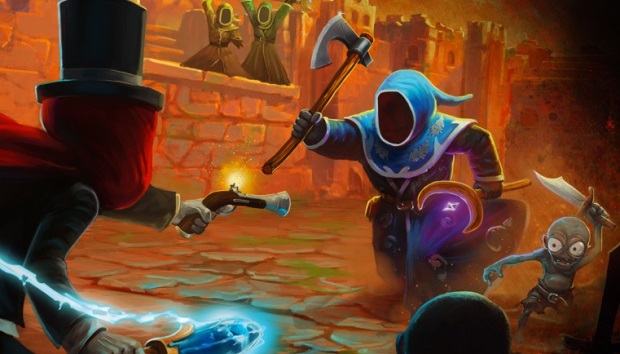 Paradox Interactive and Paradox North today came to an understanding with players of Magicka: Wizard Wars, the Spellcasting Action PvP take on the questionably ethical Magicka universe. Starting today, Wizard Wars players can set up custom games, including the ability to set password-protected matches where only their friends will be subjected to their fiery electrified death rays. Players can also arrange matches between teams of 3v3, 4v2, 1v1, or every other combination of wizards that they can fathom. Paradox also understands that while spellcasting is a fun activity for responsible wizards, some magic enthusiasts would prefer to observe from a safe distance, behind magic-proof glass. Magicka: Wizard Wars now also includes a Spectator Mode, allowing intrigued fans to engage in sideline viewing, in either follow-mode or free-controlled camera – whatever they enjoy the most. As an extra treat, Magicka: Wizard Wars has also added a gift in the form of a new Snowball weapon to the in-game store, just in time for the season of giving icy concussions to one’s friends and family.